U-shaped set of four independent buildings, 300 sqm all on one level. A small lounge on entering. A room with 1 single bed and a sink. A bathroom with two sinks, 1 bath and a toilet separated by a wall and a curtain. and a chamber for the 16th coating on the other. Across the kitchen opens to a living room with a TV corner, DVD player, books and documentation. a back kitchen with dishwasher, washing machine and 1 sink. Washing machine, iron and ironing board, vacuum cleaner. cot, baby bath, high chair. Gas central heating (by lodging a counter for recording the consumption). rental of sheets: 9 euros per bed. towel rental: 4 euros per person. 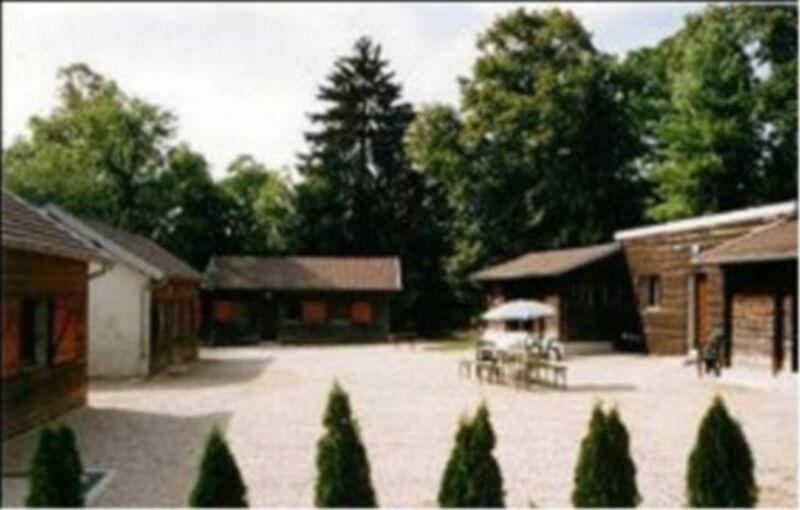 tennis court, shared table tennis table with 5 cottages, parking. Large lawns, green areas and woods on the property. Roads passable by bike in the forest opposite. Sled in the near beside in winter. welcomes you in its deposits extend over 15 hectares. to accommodate up to 46 people. and the peace of a place of rest and relaxation. everyone will discover a varied and exciting heritage. and a beautiful discovery of the Jura.